While our planet has recently reached its closest point to the Sun, it is still drifting as are the other planets away from the Sun. Our orbital path might seem the same throughout the years but the truth is, it is constantly changing. Forbes recently posted an article that has been blowing up on the topic and in their article, they go over how this year in 2019 our perihelion was 1.5 centimeters further away than it was last year. This basically highlighting how we are currently as close to the Sun as we will ever be again since we will never be able to pass that new threshold we’ve set in place. This is not a new concept and is something we have all known for quite a while but many people just don’t get it. One important thing to note is that our orbit around the Sun as is, is not a perfect circle. It is elliptical and because of the tidal interaction between the Sun and Earth, we are very slowly moving away from it. The rotation of the Sun itself pushes us further and further away from it as the years pass. There is another effect which is also small, but somewhat bigger than the tidal effect. The Sun is powered by nuclear fusion, which means the Sun is continuously transforming a small part of its mass into energy. As the mass of the Sun goes down, our orbit gets proportionally bigger. However, over the entire main sequence lifetime of the Sun (about 10 billion years), the Sun will only lose about 0.1% of its mass, which means that the Earth should move out by just ~150,000 km (small compared to the total Earth-Sun distance of ~150,000,000 km). 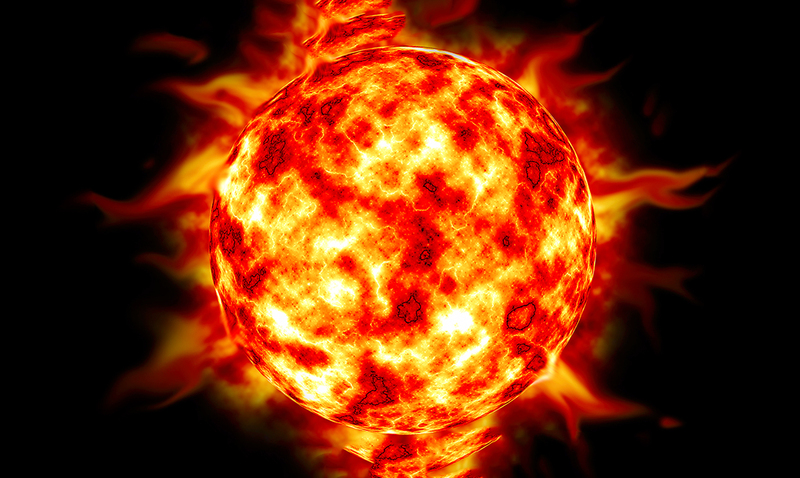 If we assume that the Sun’s rate of nuclear fusion today is the same as the average rate over those 10 billion years (a bold assumption, but it should give us a rough idea of the answer), then we’re moving away from the Sun at the rate of ~1.5 cm (less than an inch) per year. I probably don’t even need to mention that this is so small that we don’t have to worry about freezing. Many factors go into making up our orbit and can influence it in different ways. The presence of matter particles, the creation of gravitational waves, and so much more all go into what makes up the path we move forth on. The Sun is constantly emitting energy and in a process of nuclear fusion. Because of this, the Sun itself is losing mass as time goes by. This loss while minor lessens the gravitational pull that the Sun has on all the objects within our solar system. The Sun’s mass loss, by burning its nuclear fuel, ensures that every mass orbiting in our Solar System is slowly spiraling outward as time goes on. Some 4.5 billion years ago, our planet was around 50,000 kilometers closer to the Sun than it is today and will grow more distant more rapidly as the Sun continues to evolve. With each and every orbit that passes, the planets become progressively less tightly-bound to our Sun. The rate at which the Sun burns through its fuel is increasing, accelerating the rate at which all the planets spiral outwards. While this should never unbind any of the planets we have today, the slow, steady, outward migration of every world is inevitable. What do you think about all of this? I for one find it to be quite fascinating. The universe as we know it is far more complex than most of us care to stop and think about.